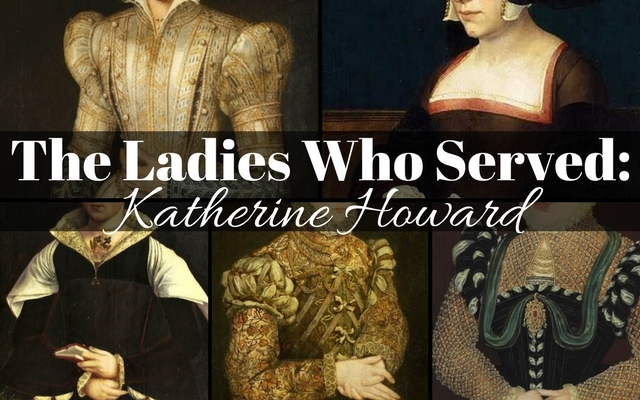 Katherine Howard’s time as Queen of England was short-lived but even so she also had many ladies who served her. It makes one wonder if Katherine could foresee her future or if she was naive enough to think that Henry’s love would always be hers – she knew if she had the king’s favor that she would remain continue to receive gifts and affection from him. It is believed that the queen consort chose her ladies and the king would, on occasion, interfere with his own choices after suggestions from those close to him. 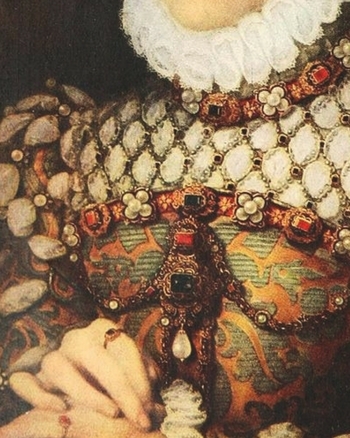 When choosing the ladies who would serve in their privy chamber, a Tudor queen would look for a lady who was well-educated, attractive and aristocratic women. Privy Chamber – these ladies attended to the queen’s daily needs such as washing, dressing and serving at the table. Chamberers – performed more menial tasks such as arranging bedding and cleaning the queen’s private chambers. Maids-of-Honor – attended the queen in public and carried her long train. They were also responsible for entertaining her by singing, dancing and reading. These girls were unmarried and were supervised by “Mother of Maids”. Ladies in Waiting – these women were sometimes connected to the privy chamber and held their position due to their experience or their husband’s position at court. Margaret Douglas was the daughter of Margaret Tudor (sister to Henry VIII) by her second husband, Archibald Douglas, 6th Earl of Angus. Margaret was half sister of James V of Scotland and granddaughter of Henry VII of England. Margaret was born at Harbottle castle in England because her mother, Margaret Tudor was fleeing from Scotland, seeking shelter with her brother, Henry VIII. When she was barely fifteen, she was appointed chief lady in waiting to her cousin, Princess Mary. Only three years later, she was at court as one of Anne Boleyn’s ladies. On the 6th of July 1544, Margaret married Matthew Stuart, Earl of Lennox. The couple had two sons who survived to adulthood, Henry, Lord Darnley and Charles, Earl of Lennox. Shortly before the death of Henry VIII, Margaret argued with the king over a matter of religion (she remained a devout Catholic all her life) and was disinherited. 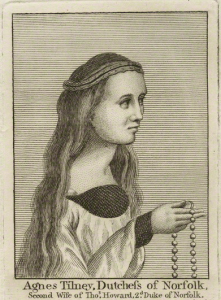 Mary Howard was the daughter of Thomas Howard, 3rd Duke of Norfolk and Elizabeth Stafford. Mary was a maid of honor to her cousin, Anne Boleyn and was married to Henry Fitzroy, the illegitimate son of Henry VIII with Bessie Blount. The couple married on the 26th of November 1533, but they never lived together. Henry VIII tried to use non-consummation of the marriage as an excuse not to support Mary in her widowhood, however, by 1540, she had been granted a number of former church properties and had an income in excess of £744 per annum. Following the death of her husband, Mary lived mostly at Kenninghall when she was not at court. 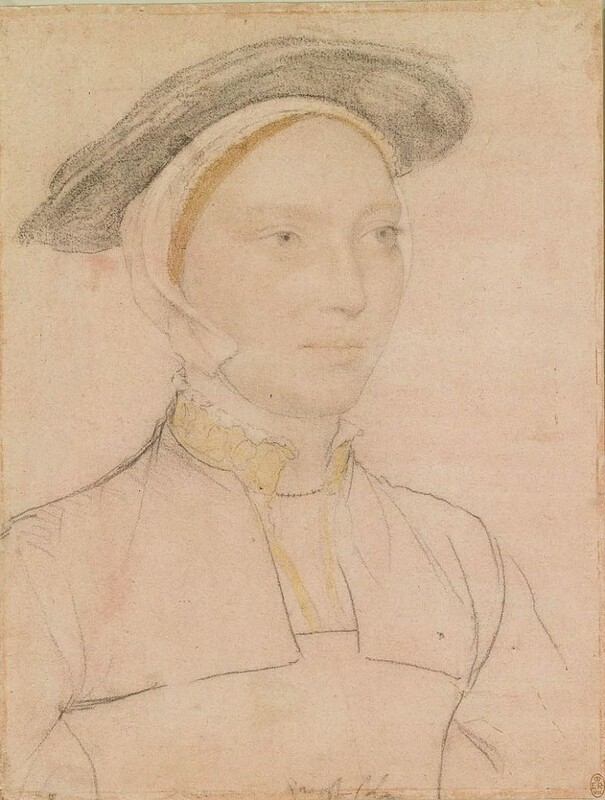 Mary Howard was part of the household of Catherine Howard but send back to Kenninghall in November 1541 when the queen’s household was disbanded. There was talk of a marriage with Thomas Seymour, as early as 1538 and the idea was revisited in 1546. Mary’s brother, Surrey was opposed to the idea and Mary as well was not too keen to the idea of marriage with Seymour. Mary was the daughter of Sir John Arundell and his second wife, Catherine Grenville. 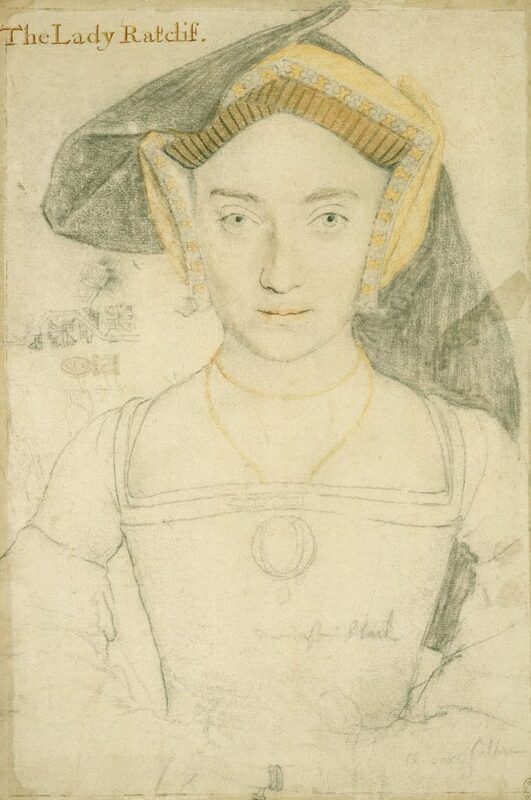 Mary Arundell was a maid of honor to Queen Jane Seymour before she married Robert Radcliffe, Earl of Sussex on January 14, 1537 – she was his third wife. Mary remained at court as one of Queen Jane’s ladies after her marriage until the queen’s death and returned as one of the Great Ladies of the Household to Anne of Cleves and Catherine Howard. 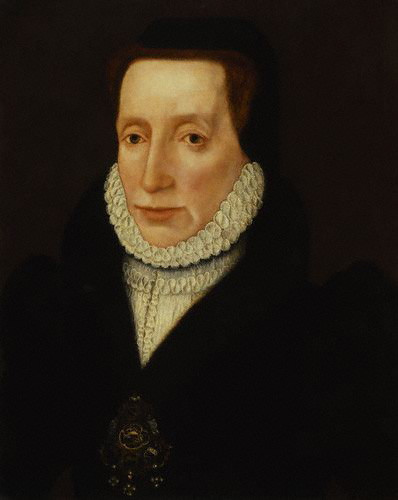 Mary had two sons by the Earl of Sussex, Henry (the king’s godson) and John. After the death of her husband she married Henry Fitzalan, Earl of Arundel on the 19th of December 1545, as his second wife. Margaret was the daughter of Sir Thomas Gamage and Margaret St. John. She was a maid of honor to Queen Anne Boleyn and was married William Howard, who was created Baron Howard of Effingham in 1554. 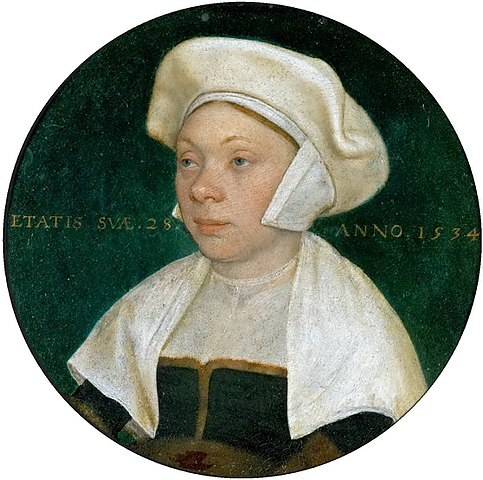 Margaret was seen at court in the Spring of 1536 when Margaret Douglas had confided in her that she had secretly agreed to marry Lord Thomas Howard. Not long after, in November of the same year Lady Margaret Douglas was sent to Syon and Lord Thomas to the Tower. He would eventually die there. Margaret was one of Queen Catherine Howard’s ladies. When the queen was arrested, both Margaret and her husband were arrested for misprision of treason. They were tried and found guilty of concealing her unchastity and later pardoned. Agnes Tylney was the daughter of Hugh Tylney and Eleanor Tailboys (or Talbot). She was first at court at fifteen. She married Thomas Howard, Earl of Surrey as his second wife on the 17th of August 1497. Agnes and Thomas had many children: Dorothy, Thomas, William, Anne, Katherine, Elizabeth, Richard, and two sons and four daughters who died young. Ursula Stourton was the daughter of William Stourton, 7th Baron Stourton and Elizabeth Dudley. She married Edward Clinton, 1st Earl of Lincoln sometime before the 15th June 1541. The couple had two children, a daughter Frances and a son, Henry. It is noted by Kate Emerson, author of “Who’s Who of Tudor Women” that Ursula served Queen Katherine Parr. 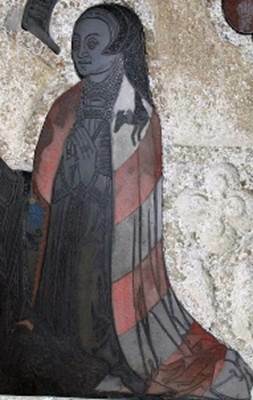 Eleanor Paston was the daughter of Sir William Paston and Bridget Heydon. She married Thomas Manners, Earl of Rutland, as his second wife, sometime before 1523. The couple had eleven children: Anne, Elizabeth, Gertrude, Henry, Sir John, Frances, Roger, Sir Thomas, Oliver, Isabel, and Catherine. Jane Parker was the daughter of Henry Parker, 8th Baron Morley and Alice St. John. 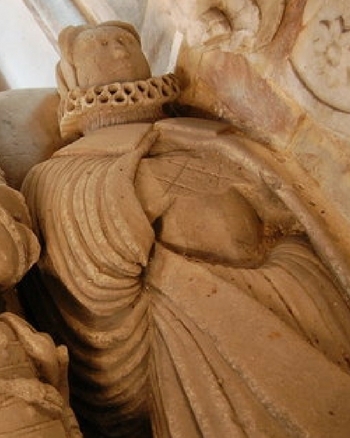 Jane is best known as Lady Rochford, wife and then widow of George Boleyn, brother to Anne. The couple were married in 1525 and had no children. 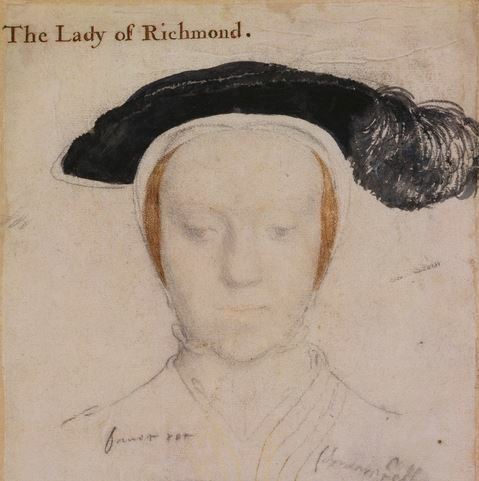 Isabel Legh, sometimes called Isabel Howard, was the daughter of Ralph Legh and Joyce Culpepper and thus a half sister of Queen Catherine Howard. She married Edward Baynton on the 18th of January 1531 and had by him three children, Henry, Francis and Anne. Her husband was vice chamberlain to several of Henry VIII’s queens. It is believed that Isabel served Anne Boleyn, Jane Seymour and Anne of Cleves. The History of Parliament entry for her husband says that by the 14th of March 1539, the couple had replaced Lady Kingston in supervising the joint household of Mary and Elizabeth Tudor. 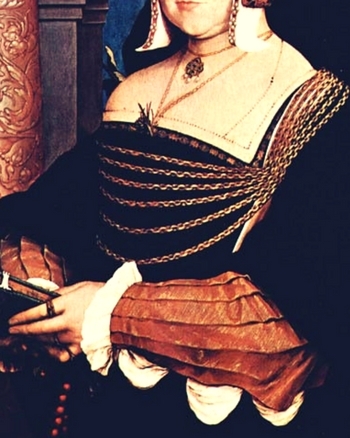 Isabel was also at court during the tenure of her half sister, Catherine Howard. When Queen Catherine was sent to Syon House in the autumn of 1541, she was allowed to choose her own female attendants, on the condition that Isabel was one of them. Isabel also accompanied Catherine to the Tower. She was later a lady of the household extraordinary to Kathryn Parr. Catherine St. John was the daughter of Sir John St. John and Sybil Morgan. Her first marriage was in 1507 to Sir Griffith ap Rhys. The couple had a daughter, Mary Griffith. Her second husband was Sir Piers Edgecumbe – she was his second wife as well. Anne was the daughter of Sir Thomas Parr and Maud Green. Her mother, Maud Parr, was a lady in waiting to Katherine of Aragon and Anne became a maid of honor to Queen Jane Seymour. In early 1538, Anne married William Herbert. Anne should not be confused with Lady Herbert of Troy (Blanche Milborne) who carried Elizabeth Tudor’s train at the christening of Prince Edward, or Mrs. Fitzherbert, who was chief chamberer to Queen Jane and rode in her funeral cortege in 1537. Anne was also in the cortege, but she was not yet Mrs. Herbert. As Lady Herbert, she was keeper of the queen’s jewels to Catherine Howard, although she left court briefly to give birth to her first child, Henry (d.January 19,1601), in 1540. She was back at court in time to attend the disgraced queen at Syon House and in the Tower. When her sister Katherine Parr became Henry VIII’s sixth queen in 1543, Anne returned to court. The couple had two more children, Edward and Anne and used Baynard’s Castle as their London residence. For the birth of her second son, Anne’s sister loaned her the manor of Hanworth in Middlesex for her lying in. Elizabeth was the daughter of Goddard Oxenbridge and his second wife, Anne Fiennes. She was at court in the household of Queen Jane Seymour in 1537 and after the queen’s death resided with Mary Arundell, countess of Sussex. 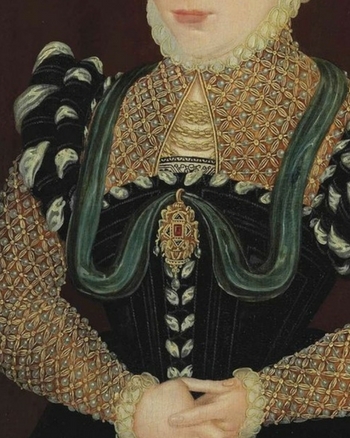 Elizabeth was married to Sir Robert Tyrwhitt by the 4th of August 1539, when she and several other gentlewomen wrote a letter to King Henry from Portsmouth, where they had gone to view the royal fleet. 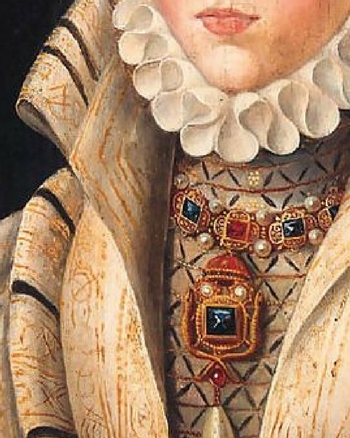 When Catherine Howard became queen, Elizabeth was a gentlewoman of the privy chamber and during Anne Parr Herbert’s absence from court to have a child, temporarily took over her duties as keeper of the queen’s jewels. She was also a lady of the privy chamber to Kathryn Parr and shared the queen’s views on religion. Susanna Horenboult was the daughter of Gheraert Horenboult and Margaret Sanders. Around 1526, Susanna married John Parker, who was Yeoman of the Wardrobe and Keeper of the Palace of Westminster. When they married she may have stopped painting professionally. The same year her husband died, Susanna lost her place in the queen’s household due to the death of Jane Seymour and by 1538 she was in serious financial difficulties. She had no children by Parker. On the 22nd of September 1539, Susanna married John Gylmyn or Gilman in St. Margaret’s Church, Westminster. He was a widower with a young daughter and a freeman of the vintner’s company, as well as holding a position at court. Two weeks later, Susanna was sent to Anne of Cleves as a personal ambassador from King Henry, and possibly as a spy. She was supplied with £40 for travel expenses and issued livery and was gone from England for three months. She joined the household of Anne of Cleves in Dusseldorf and accompanied the future queen to England. Anne made Susanna her chief gentlewoman and provided her with servants of her own. The couple had two sons and at least two daughters, including Henry and Anne. In 1543, Susanna was back at court as part of Katherine Parr’s household. She remained at court under Edward VI. Katherine Tylney was the daughter of Sir Philip Tylney and Elizabeth Jeffrey and the niece of Agnes Tylney, Duchess of Norfolk. Through her mother, she was also related to the Brandon family and thus to the Duke of Suffolk. She was a member of the dowager Duchess of Norfolk’s household at Horsham in Sussex and at Lambeth, along with her sister-in-law, Malyn Tylney (née Chambre), Dorothy Baskerville, Margaret Benet, and Alice Wilkes, at the same time Catherine Howard was in the duchess’s care. After Catherine became queen, Katherine Tylney and Alice Restwold were among her chamberers, as was Margaret Morton, who had also been at Lambeth. While the queen was carrying on with her lover, Thomas Culpepper, everyone but Lady Rochford and Katherine were barred from Catherine’s bedchamber. When the whole sordid story came out, Katherine was interrogated about events at Lambeth, particularly how much the duchess knew about them and, on November 13, 1541, was questioned about more recent events at court, particularly at Lincoln on the recent progress and at Hampton Court. Katherine insisted that she’d never seen who it was the queen met in the wee hours of the morning. Margaret Woodford was the daughter of William Woodford and Anne Norwich. Margaret’s first husband was John Turville who died soon after their marriage. Margaret then married his brother, William Turville. This marriage was found to be irregular – interesting after what Henry VIII did to Katherine of Aragon after she had been married to his brother. 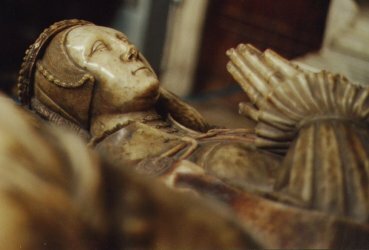 Once it was annulled, Margaret married in about 1495 to Thomas Morton who was a widower with a son. Maude Luffkyn is believed to have been one of the women who attended Queen Catherine Howard on the scaffold. It is thought that Luffkyn was the servant who caught sight of Thomas Culpeper trying to sneak into the queen’s bedchamber, forcing him to hide until the coast was clear. The daughter of George Acworth and Margaret Wilberforce. 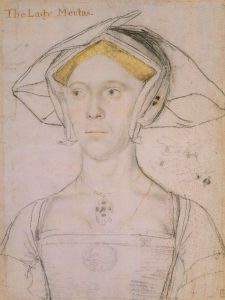 Alice Wilkes was a servant in the household of Agnes Tylney, Duchess of Norfolk at the same time as Katherine Howard and was aware of that young woman’s sexual hijinks. Alice’s future husband, Anthony Restwold of the Vache, Buckinghamshire was also part of that household, but it is unclear exactly when they married. Later she would testify that she was “a married woman and wist what matrimony meant and what belonged to that puffing and blowing” she heard behind the bed curtains when Francis Dereham, a gentleman pensioner in the service of the duke of Norfolk (stepson of the dowager duchess) was with Katherine. After Katherine Howard became the wife of Henry VIII, Alice came to court. Some accounts say she was there as a chamberer, but unlike most of those young women, Alice has the word “gentlewoman” added after her name in some records. Jane Guildford was the daughter of Sir Edward Guildford and Eleanor West. In late 1525 or early 1526, she married her father’s ward, John Dudley. They had thirteen children: Henry, Thomas, John, Ambrose, a second Henry, Mary, Robert, Guildford, Katherine, and four others—Charles, Margaret, Frances, and Temperance—who died under the age of ten. Jane was successively Lady Dudley, Viscountess Lisle, Countess of Warwick, and Duchess of Northumberland. Although she did not take an active role in her husband’s political career, she was at court as a lady of the Privy Chamber to Anne of Cleves and Katherine Parr and during the reign of Edward VI. Jane’s son Guildford (husband of Lady Jane Grey), was executed in 1554 while her other sons remained prisoners in the Tower. On the 2nd of May 1554 she herself was pardoned. That summer Jane was at court a lot to petition the release her sons. The eldest, John, was released from the Tower in early October 1554. Ambrose, Robert, and Henry were released by early 1555, before their mother’s death at Chelsea. 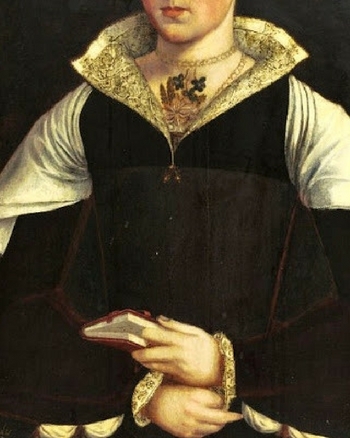 Margaret Howard was the daughter of Lord Edmund Howard and Joyce Culpepper, as well as sister to Queen Katherine Howard. Sometime between 1530 and 1533, Margaret married Sir Thomas Arundell. Jane Cheney was the daughter and heiress of William Cheney and Emma Walwyn. 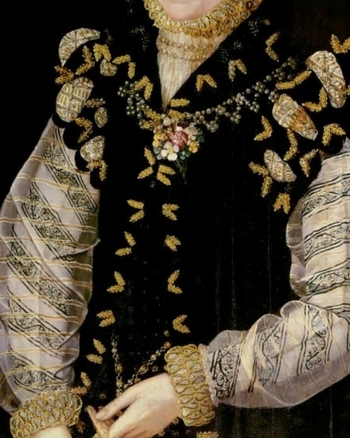 Before 1533, possibly as early as 1527, she married Thomas Wriothesley, who was created Earl of Southampton in 1547. Catherine Skipwith was the daughter of John Skipwith and Catherine Fitzwilliam. In 1515, she married Sir Thomas Heneage, a gentleman pensioner. The couple only had one child, a daughter named Elizabeth. 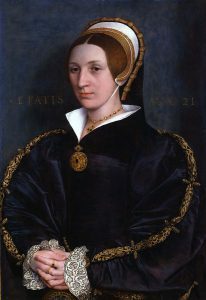 Catherine rode in the funeral procession of Queen Jane Seymour and was a gentlewoman in attendance on Queen Anne of Cleves in January 1540 and later served in the household of Catherine Howard. 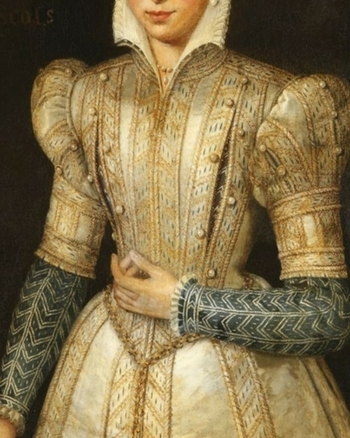 Elizabeth Seymour was the daughter of Sir John Seymour and Margery Wentworth and the younger sister of Edward, Henry, Queen Jane, Thomas and Dorothy. By 1530, she was married to Sir Anthony Ughtred. Some sources have said that Elizabeth, as Lady Ughtred, was at court when Anne Boleyn was queen, but Jane Seymour’s biographer, Elizabeth Norton, contradicts this, saying that Elizabeth lived primarily in the north, away from both court and family. In March of 1537, after her sister Jane was married to King Henry, the widowed Elizabeth, living in poverty in York, wrote to Lord Cromwell to ask for the grant of some of the goods from one of the dissolved monasteries. Instead, Cromwell proposed that she marry his son, Gregory. The couple wed on August 3, 1537. The couple had five children together: Henry, Frances, Catherine, Edward, and Thomas. 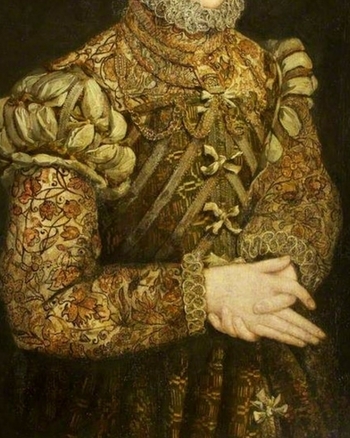 In 1551, when Elizabeth’s brother, Edward Seymour, then Lord Protector, was arrested, Elizabeth was given charge of his four younger daughters. Later that year, Gregory Cromwell died of the sweat and Elizabeth was also ill, at Launde Abbey in Leicestershire, but recovered. She gave birth to her last child after her husband’s death. Jane’s parentage is unknown but she had a brother named John Asteley who was a mercer in London. It is possible that Jane was a maid of honor to Anne Boleyn in January 1534, but she was definitely a maid of honor to Queen Jane Seymour. Jane married Peter Mewtas in 1537. 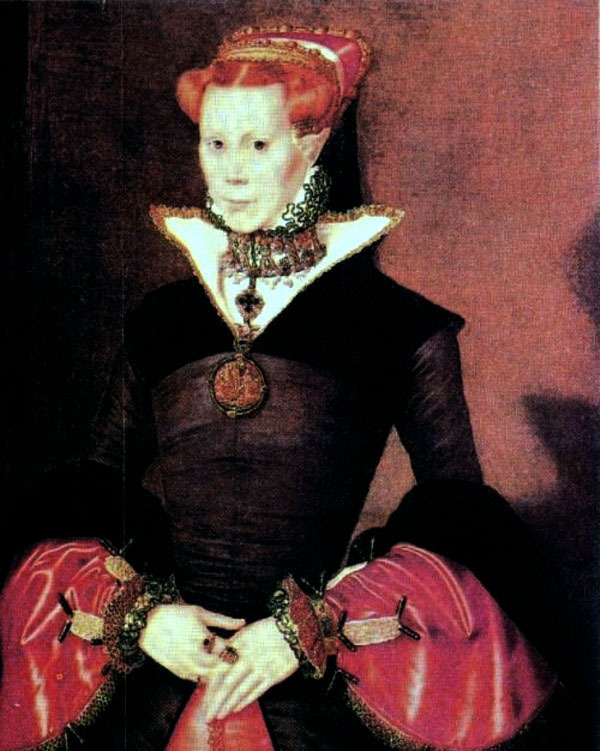 Author Agnes Strickland believed that Lady Mewtas was in the household of Katherine Howard but Kate Emerson believes she was in the household of Prince Edward in 1540-41. The couple had five children: Cecily, Frances, Henry, Thomas and Hercules. Lucy was as an English noblewoman and the daughter of Henry Somerset, 2nd Earl of Worcester. Who her mother was is still uncertain, it was either the first wife of her father, Lady Margaret Courtenay or his second wife, Elizabeth Browne. 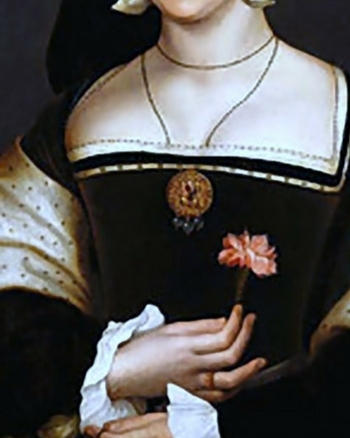 She served as a maid of honor to Katherine Howard. In 1545, she married John Neville, 4th Baron Latimer, the stepson of King Henry’s sixth consort Kateryn Parr. Lacy was also a Lady in Waiting to Parr. Anne Bassett was the third daughter of Sir John Bassett and his second wife, Honor Grenville. After the death of her father, her mother married Arthur Plantagenet, Viscount Lisle, who was Lord Deputy of Calais and the illegitimate son of King Edward IV. Anne was mostly raised in Calais and was sent to a French family to be educated. In 1537 she obtained a post at court as one of Queen Jane Seymour’s six maids of honor, having been told in 1536 that, at fifteen, she was too young for the post. After the death of Jane Seymour, she was placed in the household of her cousin, Mary Arundell, Countess of Sussex, to await the king’s next marriage. With close connection to other court families she later resided with Peter Mewtas and his wife Jane Ashley (see above) and then with a distant cousin, Anthony Denny, and his wife Joan Champernowne. Henry VIII took interest in Anne and it was suspected that she was his mistress and possible future wife after his divorce from Anne of Cleves and after the execution of Katherine Howard. Upon the King’s marriage to Anne of Cleves, Anne resumed her position as a maid of honor and she also held this post under Katherine Howard. 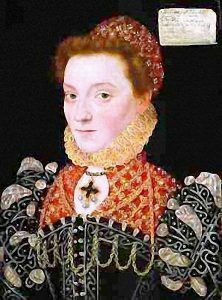 Elizabeth Fitzgerald was born in 1527, in Ireland to Gerald Fitzgerald, 9th Earl of Kildare and his wife Elizabeth Grey. Elizabeth Grey was the daughter of Thomas Grey, 1st Marquis of Dorset. Dorset was the son of Elizabeth Woodville, Queen to King Edward IV, by her first husband, John Grey. In 1533, Elizabeth Fitzgerald, her mother and one of her sisters moved to London when her father was accused of treason or corruption charges and put in the Tower of London. After her father died in the Fall of 1534 (in the Tower), she was raised at English court alongside her cousin Princess Elizabeth Tudor. In 1537, her half-brother Thomas Fitzgerald, 10th Earl of Kildare, and five FitzGerald uncles (James, Oliver, Richard, John and Walter) were executed at Tyburn for treason and rebellion. Thomas had renounced his allegiance to Henry VIII. On 3 February 1537, Elizabeth’s brother, who had been imprisoned for sixteen months, and her uncles for eleven months, were executed as traitors at Tyburn. They were hanged, drawn and quartered. 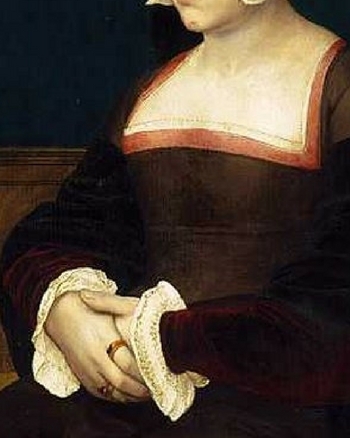 After the execution of her half-brother and uncles, Elizabeth was sent to Lady Mary Tudor’s household at Hunsdon. Her younger brothers, however, were raised alongside Prince Edward Tudor. Elizabeth’s oldest remaining brother, Gerald, who became 11th Earl of Kildare upon the execution of his brother, had gone on the run in Ireland. Around that same time, at the age of ten, she became immortalized in a sonnet by Henry Howard, Earl of Surrey. This is where she picked up the nickname, “The Fair Geraldine”. Since Elizabeth was so young it is not believed to be a love sonnet by any means, it was more of a way for Surrey to show men at court what a great catch she would be in the future. She needed all the help she could get after her family’s name was tarnished by the above noted scandal. The truth was, she was an impoverished noblewoman dependent upon the Tudors. Other sources date the poem in November 1541 and say Elizabeth was a maid of honor to Catherine Howard at the time, but there is no evidence to support this. 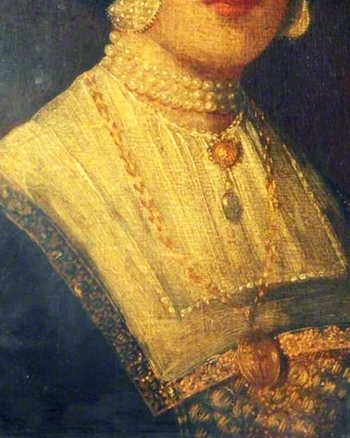 She may, however, have been at court while Catherine was queen, however, author Agnes Strickland listed her as a maid of honor in the household of the queen. 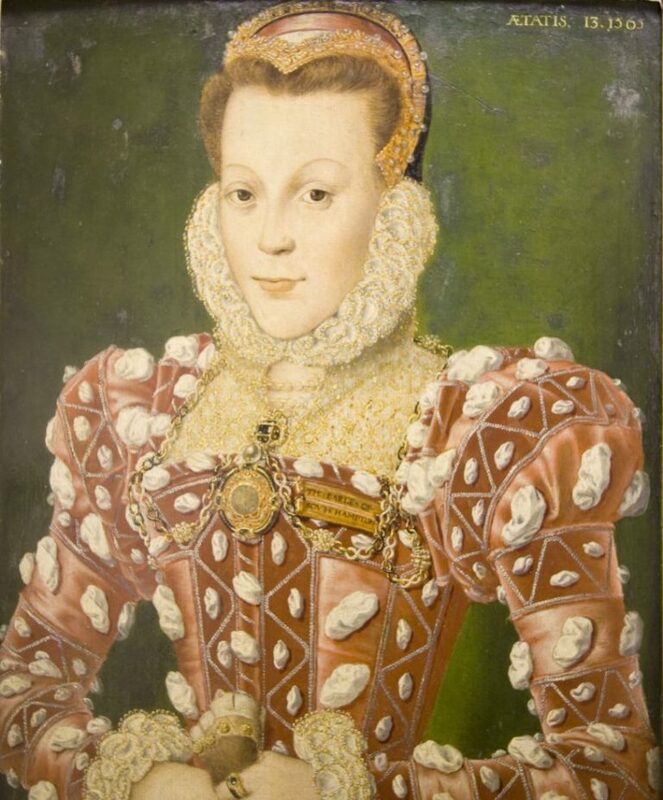 In 1543, at the age of sixteen, Lady Elizabeth married a forty-something year old Sir Anthony Browne and subsequently became stepmother to his eight children. 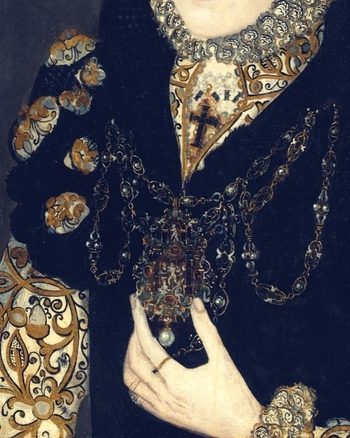 Five years after they were married, on 6 May 1548, Sir Anthony died – Elizabeth was left a widow at the age of twenty-one. She had two children by Sir Anthony, but they had both died young. Mary Norris was the daughter of Sir Henry Norris and Mary Fiennes. Mary was a maid of honor, possibly to Anne Boleyn, most likely to Jane Seymour, definitely to Anne of Cleves, and probably to Katherine Howard. Mary married Sir George Carew, Vice Admiral of the English fleet sometime before February 1541. She was at Southsea Castle with the Henry VIII in 1545, watching the ship her husband was aboard, the Mary Rose, when it suddenly rolled over and sank. Lady Carew fainted. In armor, her husband had no hope of surviving.